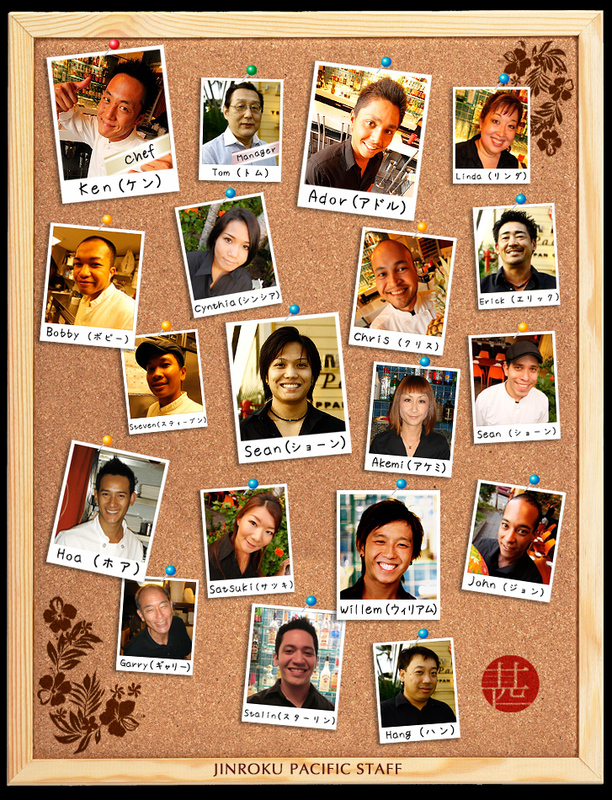 At Jinroku Pacific, our friendly staffs with aloha spirit awaits you. To enhance our delicious dishes, we will complement your dine with our exceptional services. Please feel free to converse with us!